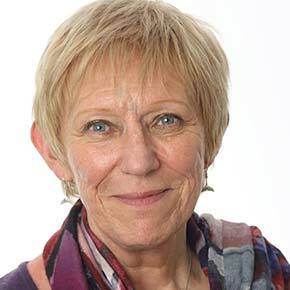 The Inquiry into Food and Fairness by the Food Ethics Council (FEC, 2010), which, to help clarify the nature of important inequalities, adopted a social justice framework in terms of ‘fair shares’ (equality of outcome), ‘fair play’ (equality of opportunity) and ‘fair say’ (autonomy and voice). These conditions were applied to the three key food policy strands: food security, sustainability and public health. 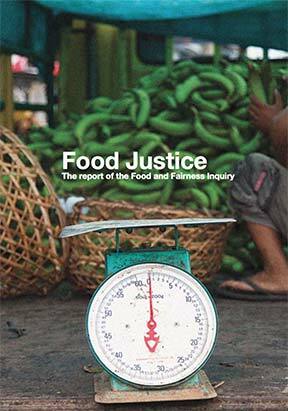 The Inquiry examined the symptoms and causes of food-related injustice, and attempted to analyse the complex relationships between unfairness, environmental degradation and ill-health. 'The Food and Fairness Inquiry was motivated by the concern that policy debate around sustainable food and farming does not attach due weight to issues of social justice. In addition to … the recommendations …, the Inquiry committee … formulated a series of "key messages" that encapsulate how the debate about food policy needs to change, in order to reflect the seriousness of social justice issues, and the ways in which they relate to concerns about environmental sustainability and public health. Food policy is central to meeting recognised ecological sustainability challenges. Social justice issues around food are at the heart of recognised environmental and health challenges. Addressing food-related social injustice mainly requires wider social and economic policy solutions. Social justice does not mean treating everyone the same. We need to find ways to engage people, and society as a whole, with food policy. To enable people to change their behaviour, we need to address the inequalities that underpin their behaviour. ‘Cheap food’ is no longer a legitimate social policy objective. The market, including the financial market, has to work differently. There are limits to what can be achieved through market mechanisms, so we need government leadership. The current international trade regime presents significant obstacles to addressing social injustice in food and farming. All stakeholders face limits to what they can achieve themselves but, for their commitment to social justice to be credible, they must openly support whatever measures are necessary but beyond their own capacity. in consumerism (increasingly values-driven, but with many unable to afford to put their values into practice).